When one hears the term entrepreneur, an image emerges of an individual who organizes and operates a business that involves certain risks. One of the most successful examples of entrepreneurs in the modern age is Sir Richard Branson. This charismatic visionary makes running a business seem effortless and fun. In addition, he displays a disciplined work ethic that is focus-driven, illustrates an adventurous spirit, and demonstrates a passionate devotion to business that is unwavering. Although he takes many risks that can fail, Sir Richard Branson is recognized as one of the highest achievers in the world of entrepreneurs. Today’s successful entrepreneurs require more than just luck and diligence. They require an ability to create in a demanding environment of high uncertainty and risk that necessitates flexibility and the capability of learning from failure. Furthermore, an entrepreneur brings to the arena a host of components that include resources, labor, and other various skills and materials. The most renowned entrepreneurs, like Sir Richard, Steve Jobs and Bill Gates, are driven by an internal force with an inherent need to make a difference in the world while escaping the confinements of bureaucracy (Ries, 2011). 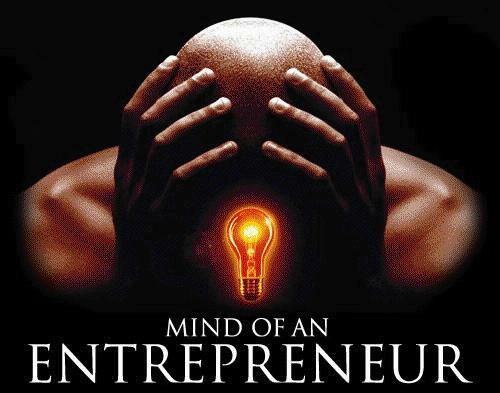 Entrepreneurship is the process of creating something new of value by devoting time and effort in the venture. Entrepreneurs pursue their business endeavors with passion and enthusiasm. This drives the engine that attracts success and monetary rewards. Four behavioral characteristics identify the entrepreneurial spirit: 1) creating a vision; 2) organizing and steering economic structures and social networks; 3) combining resources in innovative ways; and 4) accelerating with the acceptance of uncertainty, setbacks, and failure (Ries, 2011). 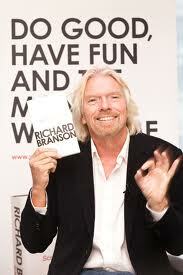 Sir Richard Branson is an exemplary illustration of an entrepreneur and an esteemed business leader. He is also a humanitarian that is proactive in politics. His innovative and groundbreaking ventures demonstrate a fearless maverick style that supports risk taking. His many successful achievements include founding the Virgin Group Company with branches that extend into the media; airlines and rail; wine and mobile phone services; and a trustee of several charities including the Virgin Healthcare Foundation and Virgin Unite. In December of 1999, The Queen of England honored him with a knighthood for his services to entrepreneurship. Not afraid of adventure or failure, this internationally renowned explorer has been involved in numerous world record breaking attempts, including the first hot-air balloon to cross the Atlantic. 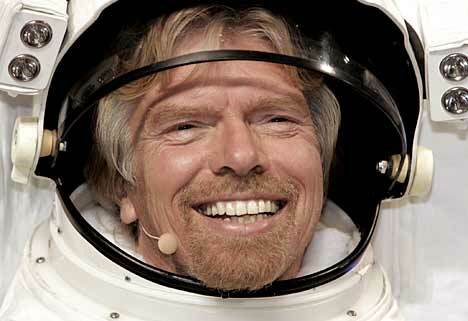 Consistent with his lively ambitious and expansionist attitude, Sir Richard’s latest enterprise is Virgin Galactic, a space tourism company that will take passengers into suborbital space (Entrepreneur, adventurer and businessman Richard Branson challenges financial profesionals to have a ‘planetary point of view’, 2006). Live in the moment – In the world of business, quick decisive actions can have big pay offs. Have fun – Chances for success is much greater when you do what you love and are joyful doing it. Give back – Show good stewardship and help others even if it is minimal and do so with gratitude and appreciation. Never give up – The word defeat is anathema in any endeavor (What I learned about entrepreneurship from Richard Branson, 2011). 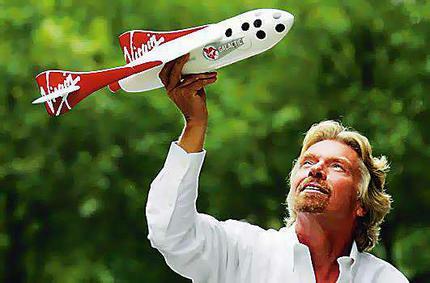 Recently Sir Richard opened the Branson Centre, a facility in the Caribbean committed to developing entrepreneurship. The Centre offers a mentorship program to help budding entrepreneurs with networking and exposure, and assists with the coaching and financing aspects of their needs. Jamaicans lack technical support, adhere to a complicated tax structure, and are in need of additional capital. 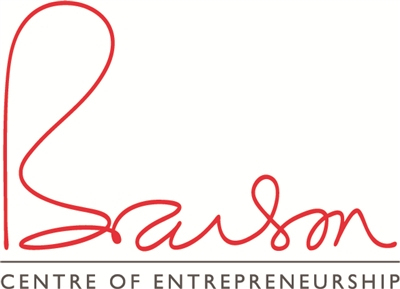 The Centre offers an arena to launch new entrepreneurial businesses to stimulate job creation and provide opportunities for locals to improve their communities and fuel their economy (Branson Centre, 2011). Sir Richard’s humanitarian endeavors and his concerns for environmental impact are inspirational leadership qualities in an entrepreneur. 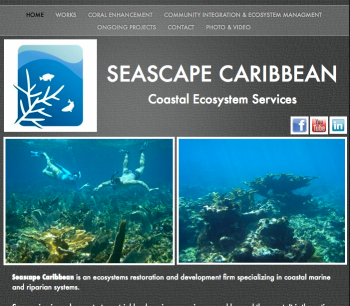 For example, one company called Seascape Caribbean is focused on the restoration of the coral reefs in the coastal region and another, Leanne Talbot of Island Cycle, is dedicated to recycling waste into usable products. (Branson Centre, 2011). Sir Richard’s innovative ideas and contributions help enable economic freedom for the employers of the future and support the creation of new jobs. In conclusion, as the founder of many successful business ventures that continue to create opportunities with environmental consciousness, Sir Richard Branson remains one of the most commendable visionary entrepreneurs and humanitarians of the modern era. Branson, R. (2011). Losing my virginity: How I survived, had fun, and made a fortune doing business my way (Updated ed., p. 14). London, UK: Crown Publishing Group. Ries, E. (2011). The lean startup: How today’s entrepreneurs use continuous innovation to create radically successful businesses. New York, NY: Random House, Inc.